Zoho CRM: What version is right for you? Picking the right CRM platform can be tedious and down right confusing. And once you’ve figured out that Zoho CRM is the right platform for you, now you must select what version will work best for your team. We will review a few options that can help your growing business prosper. For $20/user/month (billed annually) or $30/user/month (billed monthly), you can have a fully functioning CRM. This edition is the entry level version of Zoho CRM if you are looking to track your emails from Outlook into Zoho, as lesser editions do not support this option. With this edition, you are also able to modify your modules with over 150 custom fields enabling you to tailor your CRM to your organization. For $35/user/month (billed annually) or $45/user/month (billed monthly), you can step up one tier and add a lot of custom functionality. With the Enterprise edition, you get everything that you see with the Professional edition plus more. Some of the features include the ability to create custom modules, over 300 custom fields per module, and a fully functioning Sandbox for development, which can be important for testing new features before go-live. This version will allow most organization to fully optimize their CRM for their unique needs. 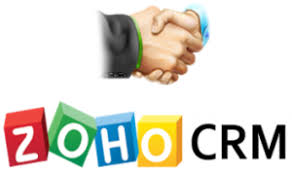 For $50/user/month (billed annually) or $60/user/month (billed monthly), you get the power of the Zoho CRM platform plus even more capability beyond CRM. Zoho CRM Plus comes with the Zoho CRM Enterprise edition so you receive the full power of the Zoho CRM system. But that’s not all! CRM Plus includes an additional eight programs that will boost your sales and production. These programs include Campaigns, Desk, SalesIQ, Social, Projects, Surveys, Analytics and Zia. Zoho CRM Plus empowers your sales, marketing, customer service and every other customer-facing team to work as one. This is done through a single unified interface that allows you to easily navigate to the different portions of Zoho CRM Plus. If you are interested in trying these products, Zoho offers free 15-day trials for each of their options. Please select the link below that matches the product you would like to try. If you would like a demonstration or assistance with setting up a trial or selecting the best CRM platform for your organization, contact us at 800-880-1960 or info@toplineresults.com. We’d be happy to assist as you consider your needs for today and into the future.